Today sees the launch of our fifth shopping guide - details at the end of this post! 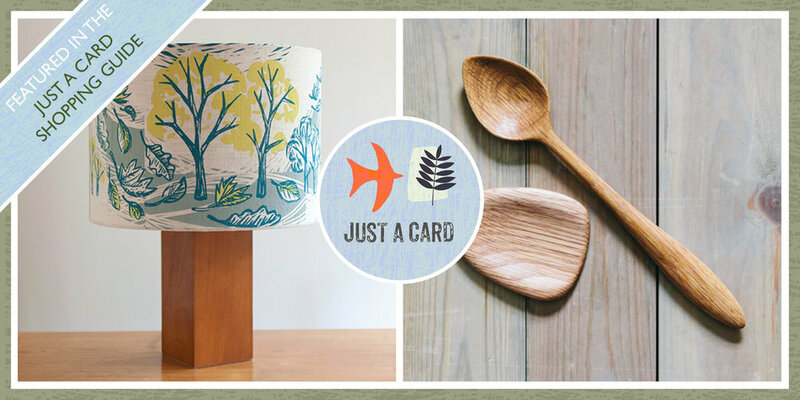 I have been curating and designing the Just a Card shopping guides since they began a year ago, and this week I'm sharing my six top tips for success! My number one top tip has to be to follow the instructions! For any submission to a curated show, event, listing, stockist, etc, it's so important to pay close attention to any guidelines that are provided. Read them carefully and follow them to the letter. If something is missing from the information, either make a judgement call by putting yourself in the shoes of the recipient, or get in touch and ask the question! Others may have also been wondering the same thing. Images are massively important in selling your product. With the exception of situations where your product is physically in your customer's hand, the quality and appeal of your product will be judged on the image alone. You might use fantastic quality materials in beautiful colours and make your product with massive care and attention to detail, but if your images don't communicate that you won't be successful. For Just a Card Shopping Guides I use square images. This means that to increase your chances of being featured you'll need to make sure your product is photographed in a way which looks good once you have cropped it into a square photo. At the same time, try to make sure your product is large enough in the frame. Aiming to make the product take up at least half the image will make it easier to see. If you have a large item, or a long thin item like a scarf, then think about creative ways to present it well. For example, scarves may look better coiled up, or photographed in a way that shows off the texture and colours rather than showing the whole item. If you are not sure about the sort of photographs that are best, have a look back at previous Shopping Guides on our web site, and see what has previously been selected. You can also read a guest blog post by photography expert, Emily Quinton, where she shares her tips for photographing your product. 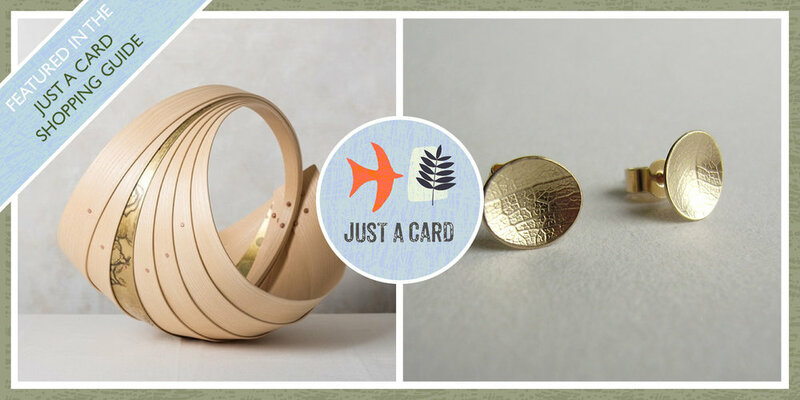 We love it when you share images of your products on social media with the Just a Card badge superimposed on them. But when you're submitting items to our Shopping Guide it really helps if you remove any overlays, or watermarks. This is because they obscure the view of your product, but also because they make things harder if I need to crop your image. When your product features in a Just a Card Shopping Guide we will credit you wherever possible. I like to try and feature entries from as many people as possible, so I'm unlikely to include more than one of your items. But our shopping guides always have more than one category, and some are more heavily subscribed than others. This means you can increase your chances of being featured by submitting items in different categories. For each entry, choose the best image of your product, make it the right size and shape, and save it with your/your business name in the file name. Then attach your sized images to your email, rather than linking to a file sharing web site. And if you have any questions about the shopping guides, please do ask! We share the Just a Card Shopping Guides as far and wide as we can in order to get you as much value from them as possible. But to do this, we need your help. Whether or not you've been lucky enough to be selected for a shopping guide, please do share the social media posts. It makes a huge difference to the effectiveness of the guide, but also the Just a Card campaign overall. Not only that, but we choose people to feature on our blog, and our increasingly popular 'Have you Met?' Instagram feature based on who has been actively involved in the campaign - it could be you!